If you are interested in weather, science communication, and/or video production, this community is for you! This program offers you the opportunity to live and work with a group of students to produce daily weather forecasts and longer science journalism shows for the university’s own television network. You will also have use of an in-hall professional television studio! Ideal for students pursuing Meteorology, Communications, Journalism and Information Technology students. Note: There are multiple opportunities for involvement in this LLC if you are student who does not want to be on air! Learn more about Perry Hall on the Cook Campus. Develop a better understanding of meteorology on an international scale. All students affiliated with SAS, SEBS, RBS, and MGSA. Students enrolled in the program will get the added advantage/benefit of being able to move in early and participate in a special orientation program in August. This will provide first-years and incoming transfers the chance to explore the Rutgers campus, get familiar with the bus system, and find their classes in advance. Students are required to participate in a 1.5 credit course, focusing on media messages and scientific aspects of weather reporting, for both fall and spring semesters during their first year of residence on the floor. Note: For Meteorology students only you will be co-enrolled in the 3-credit Elements of Meteorology course. Download a sample syllabus for this community. Please note: Syllabi and Instructors change over time, so this may not be the exact syllabus or course content that you will take as a future participant. 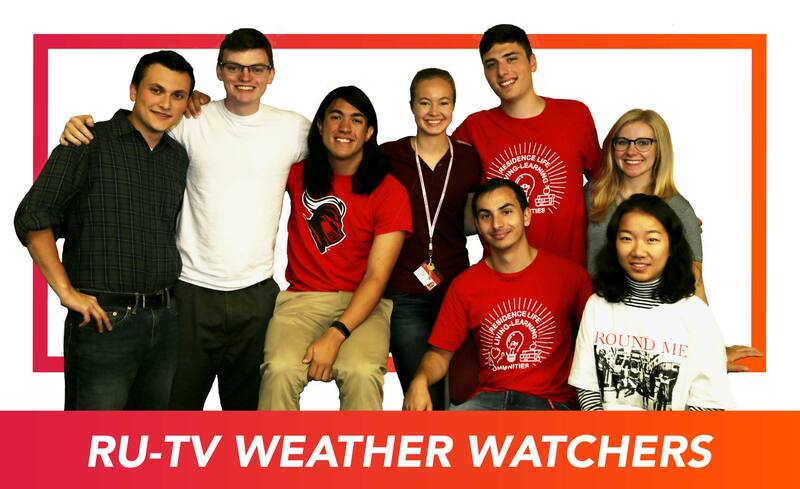 Register the RU-tv Weather Watchers Living-Learning Community as your first choice on the online housing application on the Enrollment Pathway. THE APPLICATION IS CLOSED FOR CONTINUING RUTGERS STUDENTS FOR 2018-2019. For more information, please submit an interest form. Call 848-932-4371 to speak with a staff member.